Many of you may already know that Stephen Covey, the author of one of the best selling self-help books, passed away yesterday due to injuries sustained in a bicycle accident which occurred in April. As a writer, I am very inspired by not only what he accomplished in publishing, but also the message he shared with the world. My Facebook newsfeed has been glittered with Stephen Covey's motivational thoughts and quotes. Each one shares profound truths. However, there was a picture displaying the 5 emotional cancers that I want to share with those who stop by and read MMW today. I think this visual really hit me because I was still pondering a Guest post by Beth K. Vogt that I read over at Rachelle Gardner, a literary agents's blog. Publishing is not a Three-Legged Race. Why do we always feel the need to compare? To compare is to belittle. Because in comparing yourself to others, someone will come up short. And the truth of the matter is you are usually, as Elder Uchtdorf said, "comparing [y]our weaknesses to their strengths." We need to stop it. Stop hurting ourselves and others. I have been lucky to acquire many author friends over the past few years. They have different strengths and abilities. When I start trying to mentally compete with them, and ask why I am not up to their level in my writing, I will quickly become discouraged. I forget to celebrate the strength and gifts that I do have. I begin to feel worthless. I realize there is little truth to the pit I dig for myself in those moments. I am anything by worthless. 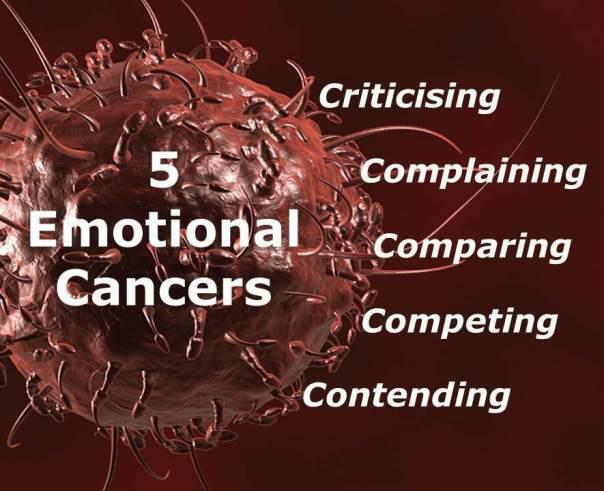 We must rid ourselves of the emotional cancers and stop allowing them to have power over us. Celebrate the success of those around us. If you have allowed them to ruin relationships, I hope you can turn things around and begin a road to recovery. Thank you Amber. I really needed this today. Let's just stop. very nice quote of Stephen Covey . Thanks you Amber Lynae for sharing this with us.